As a kid I had lots of diaries, I remember my dad giving me a diary that had perfumed papers and a lock. I so adored it, I took it for an Inter-Secondary school competition, carried it wherever I went and took down notes; felt like a tourist. Down the road I had diaries that contained memorable events, especially dates where someone hurt me. At least it aided my memory. There has been a debate on what gender the computer should be referred to. Someone said a female, because of the ability to store information and many years later the information can be retrieved. I quite agree. I am good at storing information especially the not so good ones. Therefore anyone who hurt me had a special place reserved for them, it had to take a total wipe-out of my brain to remove the memory but even at that, some tiny fragments of memory may still get attached to a strand of hair. Some years back, if you had a look into my heart, you would have seen many people held bound because of unforgiveness. Funny thing is, some of them may not have known they hurt me, it may have been a casual statement and I clung to it. Over the years God has been breaking me and teaching me how to let go. Am I saying it’s been easy? Definitely NO! There were times I was let down by people I believed in and all I felt like doing was slam their heads into a wall but I couldn’t, I will just vent out on my pillow with uncontrolled tears while on some other occasion I was so shocked at what the person did, a single tear couldn’t drop, I just stared into space in silence. Through it all I’m getting better. Recently our house-help did something really annoying, I was so upset and I just said I’ll try and be a little mean to him. You know what? I had said that so many times in the past and I never did it and it occurred to me, I was beginning to let go and give people some more chances. Truth is, we say this prayer a lot, in fact we grew up knowing it “Lord forgive us our sins, as we forgive those who sin against us”. Has it become a ritual we just say or do we really mean it? If it’s a ritual then you’ve no problem, but if you mean it then you’re shooting yourself in the foot. You may be like me or even had worse cases of betrayals, disappointments and all; you’re saying you can’t give anyone another chance. I wouldn’t blame you, I don’t know how you feel and may never know. Truth is, in times like this all we want is for our feelings of anger to be pacified by getting back at the person. Here’s the thing, you’ve been hurt already, and holding onto the hurt is only increasing the pain. Maybe you didn’t have the opportunity to prevent the situation but you have the privilege of deciding what that situation will do to you. It can only make you better or worse. If you ask me, I think you should go with the better choice. Let go and live. 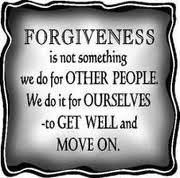 You may have to go back to your childhood memories to start the forgiving process. Bishop T.D. Jakes in his message “Faith to Forgive” said, Jesus knew the importance of forgiveness that’s why He prayed on the cross for the forgiveness of those who crucified Him, so on His resurrection He wouldn’t be held back. You have carried that hurt for too long. It’s time to let it go. If you want to travel far, you’ve got to travel light. Unforgiveness is a truck load; it’ll simply wear you out. It doesn’t end in just saying I FORGIVE YOU rather mean it. Don’t go bringing it up to some other person, leave it buried. I started doing something a while ago. I have a book where I write down all the good things that happen to me. 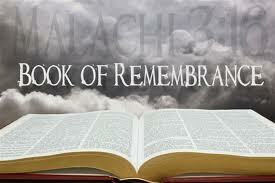 It’s my own BOOK OF REMEMBRANCE. Whenever I feel down, confused or finding it hard to trust God, I flip through the pages. It’s a way of reminding me, if I pulled through then, this too shall pass. When I’m gone, it can be a form of encouragement to anyone who stumbles upon it. 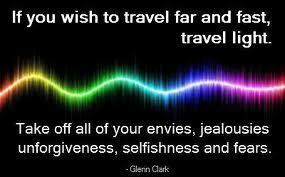 I urge you to tow this path of life. Give room for people’s short-comings besides you ain’t 100% perfect. “Above all else, guard your heart, for everything you do flows from it” Prov. 4 vs. 23 NIV. Be careful what you let into your heart. The battle of unforgiveness is won there. Go to bed every night with a light heart, if you have to call to make-up before you sleep, be bold and do it. 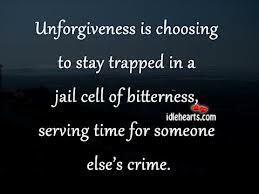 Unforgiveness is a silent killer. May God strengthen you as you take this step. Author JMADPosted on May 10, 2013 May 11, 2013 Categories ForgivenessTags Computer, Diary, Heart, Lord's Prayer, T.D. Jakes, Unforgiveness10 Comments on My book of remembrance.